← 159. Are You Afraid of Expressing Your Anger? The last child leaves home. You have no one to take care of any more. No feet stomping on the staircase. No laundry all over the place, no more friends coming and going, no half-empty packages of cookies in the cabinet or empty bottles on the kitchen counter. No unexpected hugs, surprising agreements, no herds of friends coming and going. No more chauffeuring or nights up to make sure your child comes home safely. No, peace at last! You can sleep in! You’ve got plenty of time for yourself. You enjoy the calm… Or don’t you? 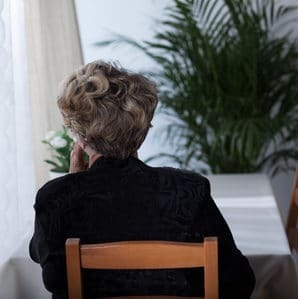 The empty house puts a lot of women in a difficult period, the ’empty nest syndrome’, a period of depression and the feeling that one is ‘no longer needed. You often hear about women who have been there for their families. When the last child leaves the house, the emptiness resounds. Everyone wants to ‘be needed’. It’s a basic need. That someone depends on you. That someone likes having you around. Someone, for whom you can do things. Or, that doesn’t depend on you but whose life you contribute to, that you can teach and inspire. That your existence, your words, what you do, brings about change in someone else’s life. Makes someone else’s life easier. I’ve heard that the meaning of life is “contributing to someone else’s life”. And I think that there is a lot of truth in this, the importance of knowing that you’ve made an impact in someone’s else’s life, which makes your life worthwhile. When your last child leaves home, you reach a phase of life in which you are no longer needed as much. This can make you feel ‘rootless’. You’ve lost your day-to-day routine; you can’t contribute to your child’s life as much any more and can feel that you are no longer needed. You can feel like you don’t matter any more. In my opinion, this phase should be taken much more seriously because it is actually a phase of mourning. You’ve ended one thing and possibly feel grief or heartache and that requires time to process. And that other people show understanding. If you do the 9 steps of the MIR-Method, they can support you in the ’empty nest syndrome’ phase. First of all, through stroking your hand. You are comforting yourself. While stroking, you are cherishing yourself. You allow yourself to admit that it isn’t easy and by doing this can relieve the pain. Stroking your hand also releases oxytocin in your body. That happens when your skin is caressed. These hormones make you feel better, causing you to feel the empty nest less intensely. The 9 steps each have their own function. Step 3 makes it easier to let go of your child more easily. You detach yourself from your daughter or son and make yourself less dependent on them. You can let them do their own thing better and can more easily accept that you have less influence on them. And how about you? Have you noticed that you are becoming more active again because of the MIR-Method? That you feel like joining something again? I’d love to hear about it! Please write about it below. Thank you! My wish for you is that you once again feel like you matter! Thank you Mireille, really love all your posts. 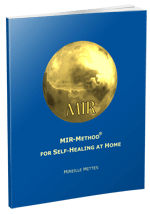 Everything you say resonates with me and I suggest to my clients that they use the MIR method. Thank you for letting me know! So great that you and your clients benefit from my work. Thank you so much for passing it onto them! I hope the MIR-Method finds its way all over the world. May it bring lots of healing to Ireland!